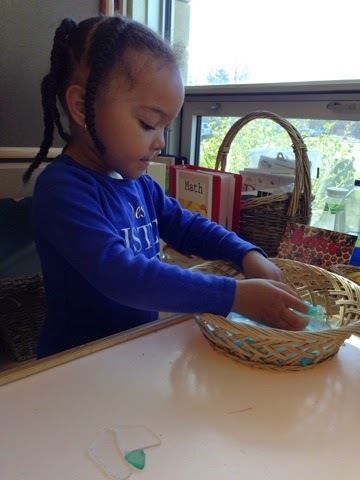 This time of year reminds us of warm weather activities like going to the beach. 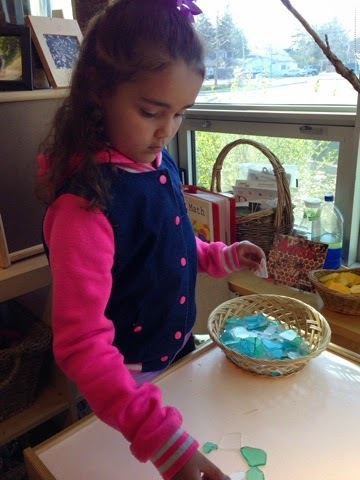 Today at the light table we displayed a basket of beautifully coloured sea glass. 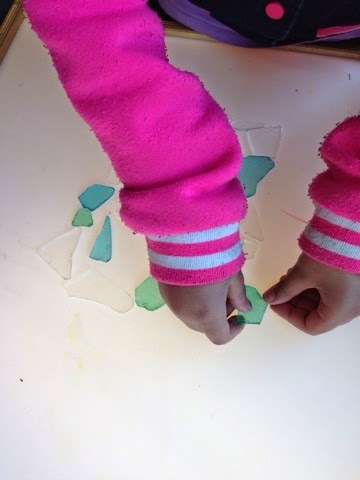 The children were fascinated by the shades of colour and shapes of the sea glass. 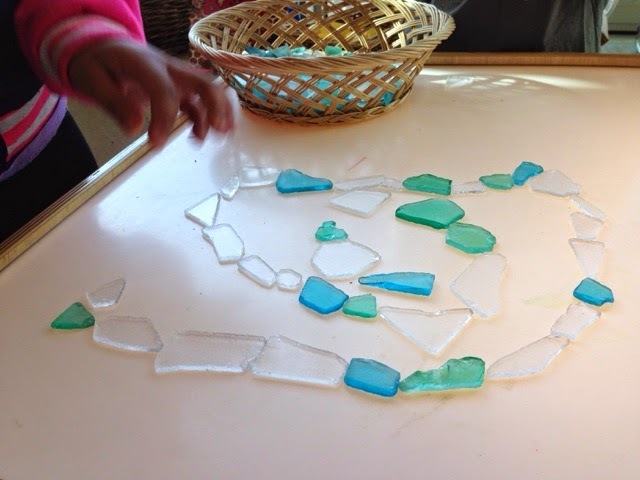 They were drawn to creating with it and had some interesting ways of designing. 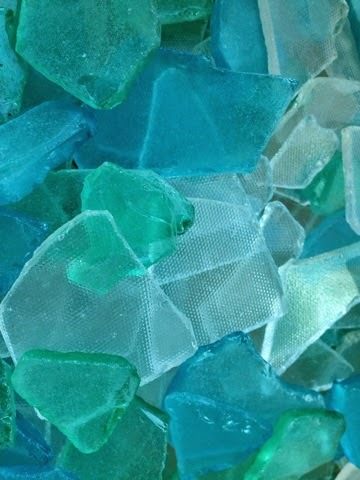 Some children sorted the sea glass by colour, others did by size. 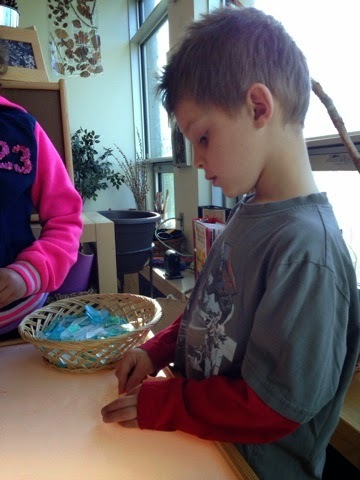 Some created swirls and others created pictures. 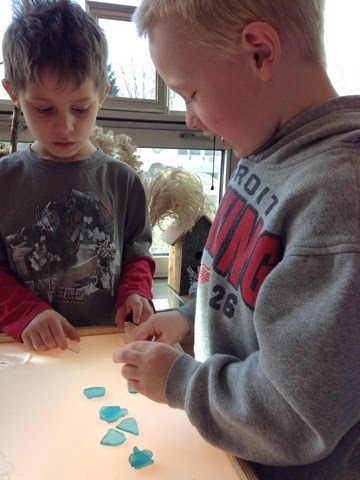 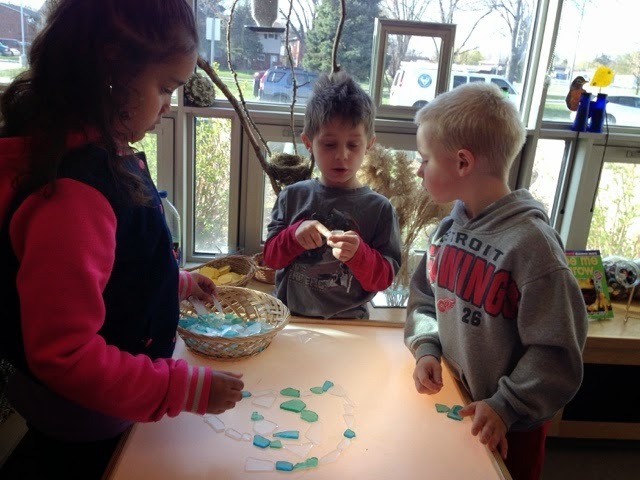 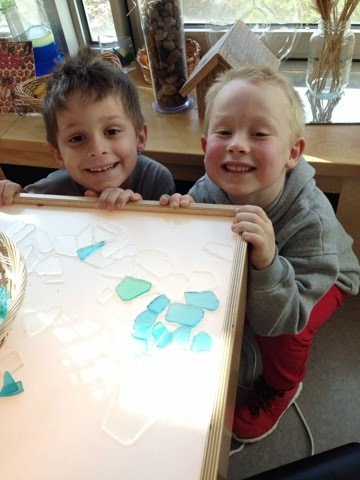 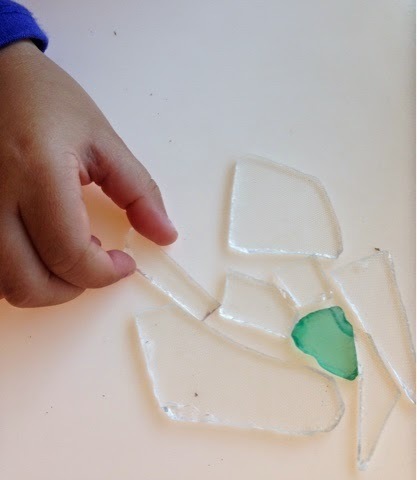 Some children even compared the glass to a puzzle and tried to fit it together by placing pieces side by side.